You need to set the path to the Mercurial client executable in Fisheye, as described on this page, before you can add Mercurial repositories to Fisheye. 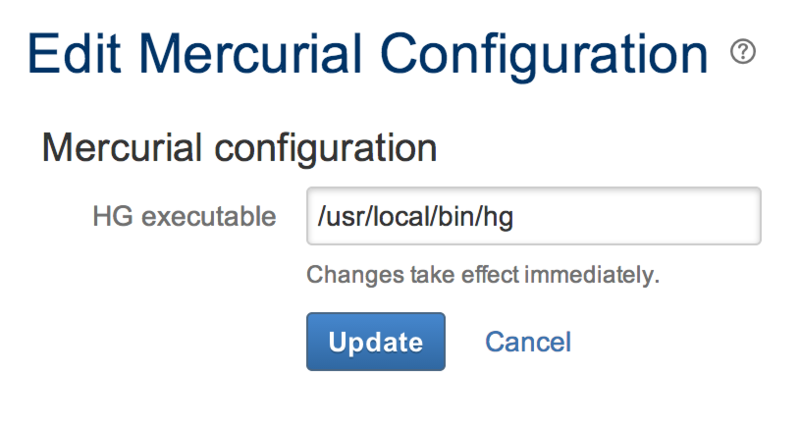 Please see the Supported Platforms page for information about the versions of Mercurial that are supported by Fisheye. Click Edit Details (under 'Hg Executable'). Enter the path to your hg (Mercurial) binary executable. If you followed the standard installation procedure, the default location is /opt/local/bin or /usr/local/bin for Linux and Mac OS X, and /Program Files/Mercurial for Windows.